The 2025 target date is highly ambitious, but the greater focus on solving political issues in the region is a positive step. The EU-Western Balkans summit will take place on May 17th in Sofia, with the stated aim of reenergising the accession process. 15 years after the Thessaloniki promise, most countries in the region are still stuck in the waiting room. The European Commission has set a target date of 2025 for Western Balkan EU accession, while also outlining a broader new strategy, which includes Brussels taking a more active role in solving political disputes in the region, and upgrading infrastructure as part of the Berlin Process. First, political conflicts are a major barrier to economic connectivity in the region. Without progress on these, purely technocratic measures to improve regional connectivity will not achieve the desired results. Second, the Western Balkans has a serious governance deficit, even compared with Romania and Bulgaria at the time of their accession in 2007. On current trends, none of the six countries will meet EU governance standards by 2025. Third, the Western Balkan countries suffer from an infrastructure deficit, which is a barrier to improving competitiveness and intra-regional trade (a key focus of recent European Commission progress reports). In this regard, the Berlin process—coupled with the political steps outlined above—is positive. Finally, the region must upgrade and expand its industrial base. Manufacturing accounts for a below-average share of GDP in much of the region, which is a barrier to productivity growth, innovation, employment and the expansion of the services sector. The economic influence of third parties in the Western Balkans is not as significant as often portrayed. It is hard to overstate the EU’s dominance in the region’s trade and investment vis a vis other external actors such as Russia, Turkey and China. However, this is not guaranteed to last, particularly in the case of China, which is set to increases its economic presence in the Western Balkans in the coming years as part of its Belt and Road Initiative (BRI). The BRI will help with much-needed infrastructure upgrading in the Western Balkans, but also creates several potential risks which should be closely monitored. 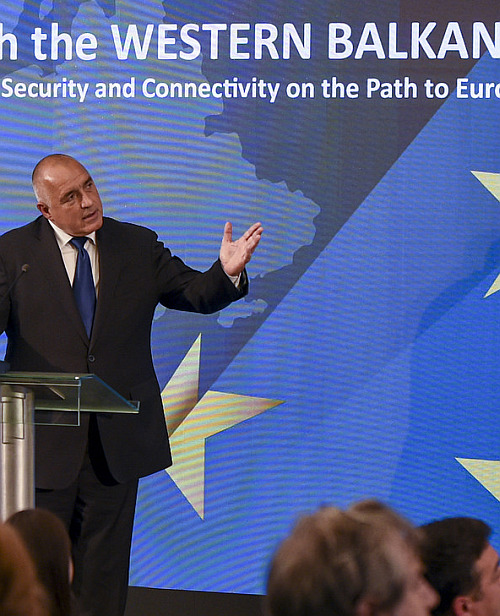 Even if the Western Balkans takes a great leap forward towards the EU, there are other barriers in the way which could also hold back accession. These include less enthusiasm for accession in Western Europe, potential interference by third parties, and conflicts between Western Balkan states and current EU members. We are cautiously optimistic about a solution to the Greece-Macedonia name dispute, but the Spanish position on Kosovo, for example, looks like a major obstacle. The 2025 target represents a highly ambitious best-case scenario, and clearly for some countries in the region it is not going to happen. Nevertheless, such a target could, and should, serve as a powerful incentive for governments in the region to speed up their reform agendas. Although the chances are probably well below 50%, we do not completely rule out at least Montenegro and Serbia joining the bloc by 2025 or shortly thereafter. To access previous wiiw Balkan Observatory Working Papers, click here. Western Balkans EU Accession: Is the 2025 Target Date Realistic?